Pasture management is how farmers generate enough grass to feed livestock. what can be done to the grass when the animals are not there. When animals were first domesticated there was very little management of the grazing. Our ancestors let the animals wander. 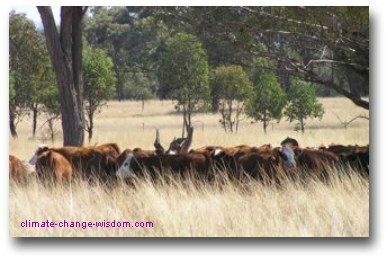 They went and sat in the natural grasslands, some resting an arm on a crooked stick, and watched their livestock graze. Many pastoral cultures in Africa and Asia still leave the animals to their own devices, corralling them at night for protection against predators. Later in the development of agriculture fences were invented. It must have been worthwhile to keep grazing animals in fenced fields as early stone or wooden structures took some effort and valuable resources to construct. Fenced areas meant that we needed to watch the animals less. It also meant that the person with the crooked stick could lean over the stone wall and declare that “the animals in this field here are mine”. Ownership has been a powerful driver throughout human evolution. It was easier to keep the animals tame by offering them extra food or water but where the grazing was sparse, fences were not practical and management remained a random wander for the animals. Fencing really came into its own when we invented steel wire, especially the type with barbs. Fields could now be almost any size or shape. Livestock could wander on their own, find enough food and yet still be enclosed. Many fenced fields meant that the animals could be moved among the fields spreading out the impact of their grazing and trampling in time and space. It also meant that pasture management could be extended to improvements to the pasture through addition of fertilizers, seeding with desirable grass species and in some cases irrigated. So what has this story got to do with climate change? The issue is similar to that described for tillage . 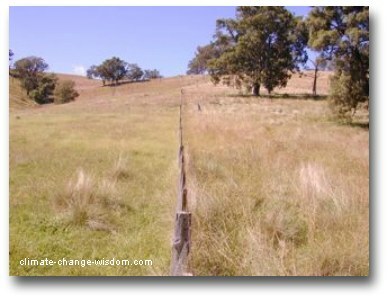 Pasture management tends to decrease carbon levels in pastures, releasing it to the atmosphere. Severe weather events make erosion a problem. After a time of extensive grazing, farmers may have to bring in fodder for their stock from outside or send the animals to market. Extensive practices often weaken plant production and makes the pasture system less resilient to climate change effects , especially drought and severe weather . However, there are pasture management options that combine to enhance carbon storage. Compare the field on the left with that on the right. And these fields that retained healthy stock through a drought without any fodder imports. In these fields grazing has been carefully timed to feed the animals well but also allow the plants to rest. The potential is to manage them to be more resilient to climate change, sequester and store carbon, and to maintain animal production.